Newly unsealed court documents show that the FBI’s request of Apple in the San Bernardino case is probably not a one-off. One of Apple’s key arguments in its battle with the government is that if it creates a “back door” to San Bernardino shooter Syed Farook’s iPhone, as the FBI has demanded, it would only lead to more requests from law enforcement to do so on other iPhones in all kinds of cases. Newly unsealed court documents from a Brooklyn federal court today strongly suggest that Apple’s assertion is correct. According to the documents, the FBI has requested that Apple create a “back door” to encrypted data on iPhones at least nine times, and possibly as many as 17 times, since last October. Apple said it’s received requests to unlock multiple models of iPhones to uncover evidence in criminal cases in California, Illinois, Massachusetts, and New York. The documents were unsealed by U.S. Magistrate Judge James Orenstein, who has expressed doubts in the past that the government is right in relying on the over-200-year-old All Writs Act to issue “back door” requests to device makers and wireless companies. 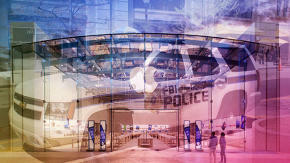 The documents were unsealed right in the middle of a heated public debate between Apple and the FBI over law enforcement’s right to ask tech companies for help with accessing encrypted data on consumer devices. The FBI won a court order from a California federal court last Tuesday directing Apple to build a new firmware that would be uploaded to Syed Farook’s iPhone to disable native security features on the device. The FBI (or Apple) could then use a computer to quickly enter thousands of passwords until it unlocked the phone. Apple is resisting the order, reasoning that creating such a master key would let the genie out of the bottle, and pave the way for more such requests from law enforcement. Apple is expected to file an application with the California federal court this week saying that complying with the order would be “unreasonably burdensome” for the company. The court will formally review the matter again March 22, then issue a final order.